San Lorenzo and San Martin, together with other smaller towns, constitute the northern area of Greater Rosario. With 80.000 inhabitants, this area has important industrial plants, especially agro-industrial, chemical, petrochemical and oil. 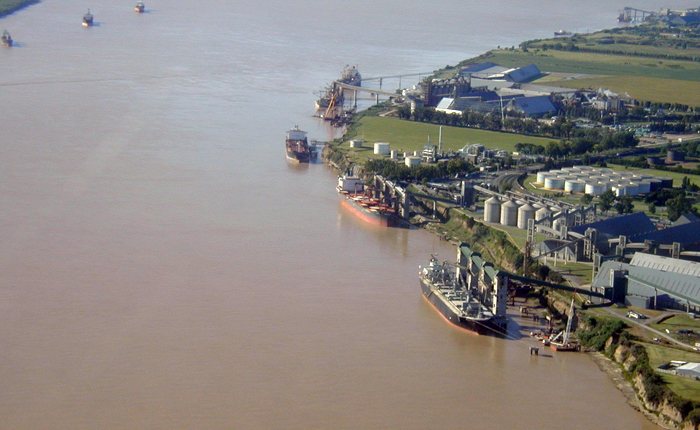 This area, like Rosario, is connected with an excellent road and railway (standard and broad gauge) network in all directions except east, as there is still no bridge there over the Paraná River. The Rosario and Rosario-Santa Fe highways by-pass the urban areas and allow a swift approach without mixing with local traffic. Owners: Cargill Grain & Oilseed Supp. Cargo Suitability: Chemichals, Petroleum by products and Liquid Gas.